The Minnesota Corn Growers Association (MCGA) today announced the hiring of four new staff members to strengthen the organization’s research, field coordination and communications activities. Adam started as the research director for MCGA on March 6. Previously, Adam was the water research coordinator with the Minnesota Department of Agriculture (MDA). He earned his Bachelor of Science in Environmental Science from Calvin College and his MS and Ph.D. degrees in Water Resources Science from the University of Minnesota. Adam is currently an adjunct assistant professor in the Department of Soil, Water, and Climate at the University of Minnesota. A majority of Adam’s work has focused on the fate and transport of nutrients and sediment in agricultural watersheds. Adam grew up in rural Michigan prior to moving to Minnesota in 1998. In his role as public relations manager, Adam will work with regional media outlets, write news releases, and author content for MNCorn.org and MCGA’s CORNerstone blog. Adam has spent the previous nine years managing communications for USDA Rural Development, a federal agency that works to build strong rural communities by investing in infrastructure, housing, high-speed Internet, renewable energy and value-added agriculture. 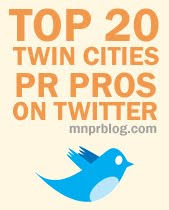 Adam also is a freelance sports reporter and covers the Twins, Wild, Timberwolves and Gophers for the Associated Press. Adam grew up in Little Falls, Minn. and has a Master of Arts degree in Organizational Development from the College of St. Scholastica and a Bachelor of Science in Journalism from St. Cloud State University. Meghan brings more than seven years experience in community relations and marketing campaign management to her new role as communications manager. Meghan also has experience in video production, print and web design. Before joining MCGA, Meghan was the community services coordinator/producer at FOX 9 KMSP in the Twin Cities. She earned a Master of Arts degree in Strategic Communication from the University of Minnesota and an undergraduate degree in Communications from the University of North Dakota. Meghan grew up on a farm in North Dakota and will oversee MCGA’s social media activities, publications, photography, videography and special projects. As field coordinator, Cara will work closely with MCGA’s regional representatives and affiliated county organizations. Before joining MCGA, Cara worked with Syngenta in seed sales and field support, and served as a brand ambassador for Monsanto’s Mobile Technology Unit, touring 15 states over eight months. Cara also gained valuable experience in Washington while serving as an intern for the U.S. House Committee on Agriculture while the 2007 Farm Bill was being created. Cara graduated from the University of Minnesota – Twin cities with a degree in agricultural education and grew up in Glenville, Minn. on a corn and soybean farm. She was an American FFA Degree recipient and is in her sixth year as manager of the Miracle of Birth exhibit at the Minnesota State Fair. MCGA has over 6,400 members and represents the interests of more than 24,000 corn farmers throughout Minnesota. The Minnesota Corn Research & Promotion Council (MCR&PC) administers the efficient and effective investment of Minnesota’s corn check-off. The shared mission of both organizations is to identify and promote opportunities for corn farmers, while building better connections with the non-farming public. To learn more about MCGA and MCR&PC, visit www.mncorn.org and follow @mncorn on Twitter.